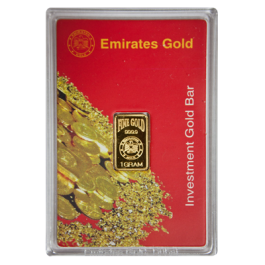 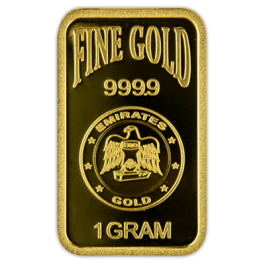 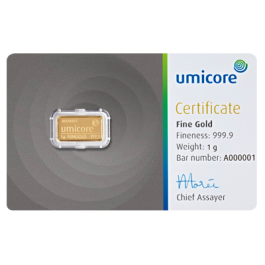 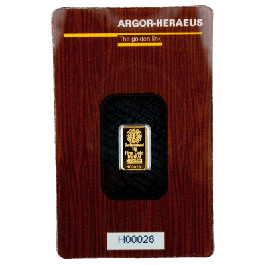 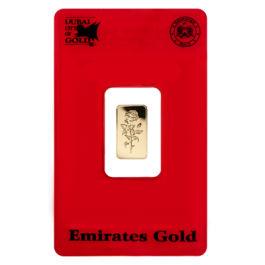 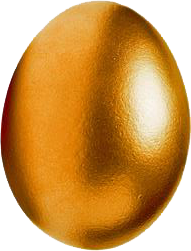 This brand new Assayed fine gold bar is manufactured by Emirates Gold, Dubai’s leading precious metal refinery. 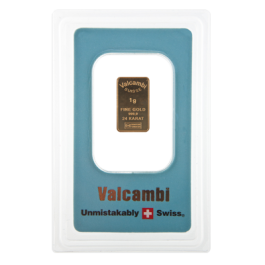 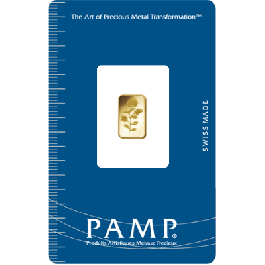 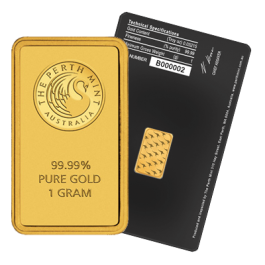 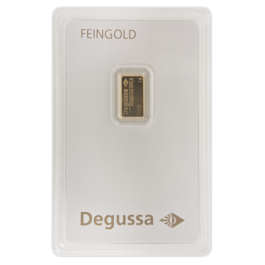 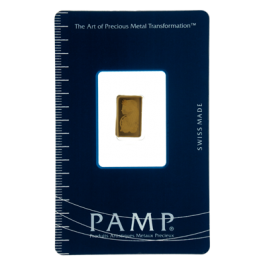 One gram (1.00g) in weight, this bar makes for a brilliant starting point for new investors and collectors. 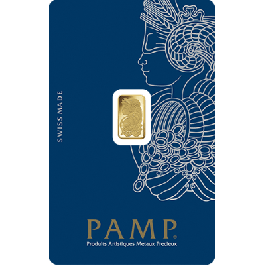 From a London Bullion Market Association associate supplier, and with the globally-recognised emblems emblazoned on its front and back, this is a brand that you can rely on. 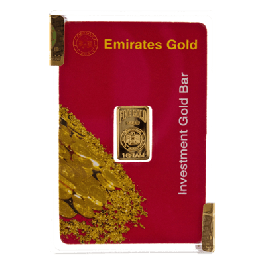 This gold biscuit comes encapsulated in a hard plastic cassette box with Emirates Gold custom made tamper-proof security tabs on all of their items.. 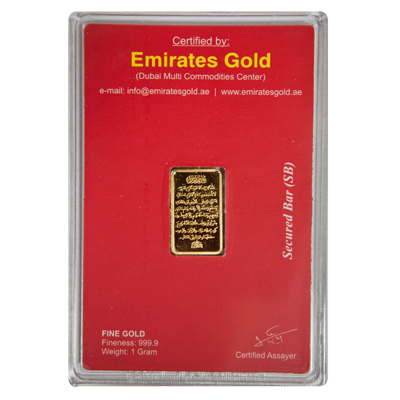 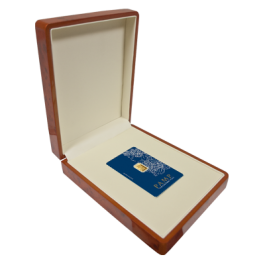 Your 1 Gram Boxed Gold Bar Emirates Gold Ayatul Kursi Pre-Owned will be delivered to you free of charge and fully insured during transit, in a nondescript package that will not draw attention to the nature of the contents.